L.A.P.D. narcotics officer Alonzo Harris is the man on the crime-ridden streets of Los Angeles. However, the lines of justice are blurred as those who are sworn to uphold the law end up breaking the law. It is no easy task to rid the streets of notorious drug dealers. Harris's methods, while effective, appear highly questionable. 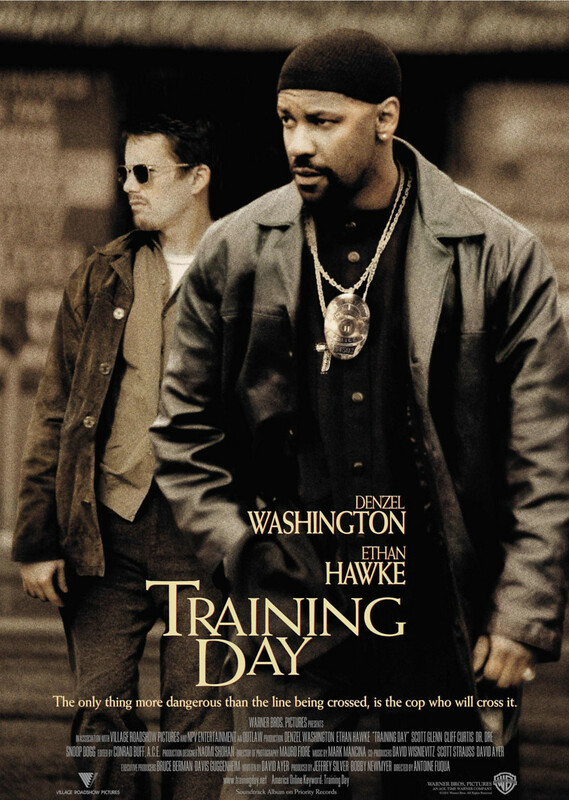 'Training Day' provides an edge-of-your-seat plot as Harris takes rookie Jake Hoyt through a full 24-hour training period. There is an ethical dilemma by Hoyt as to whether Harris's methods are right or wrong. The surprise ending brings everything into a much clearer perspective.